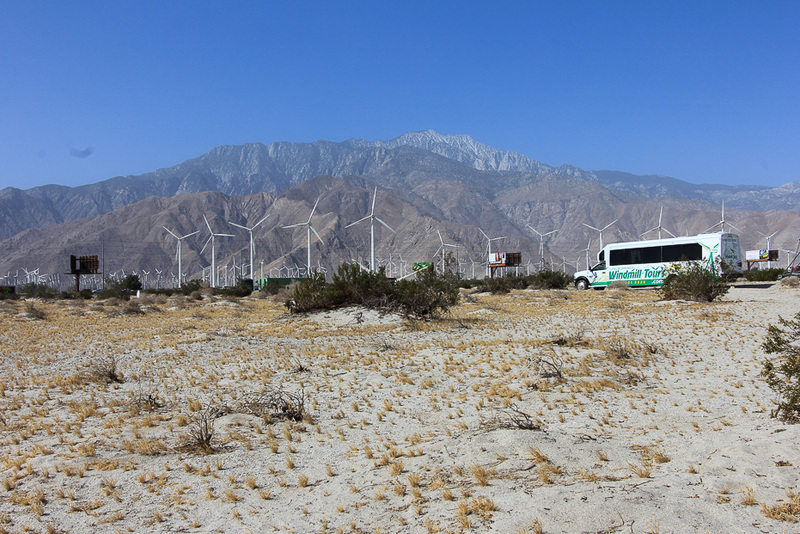 April 15, 2015 - After driving by the thousands of windmills in Palm Springs, we decided that we should learn a little bit more about them. 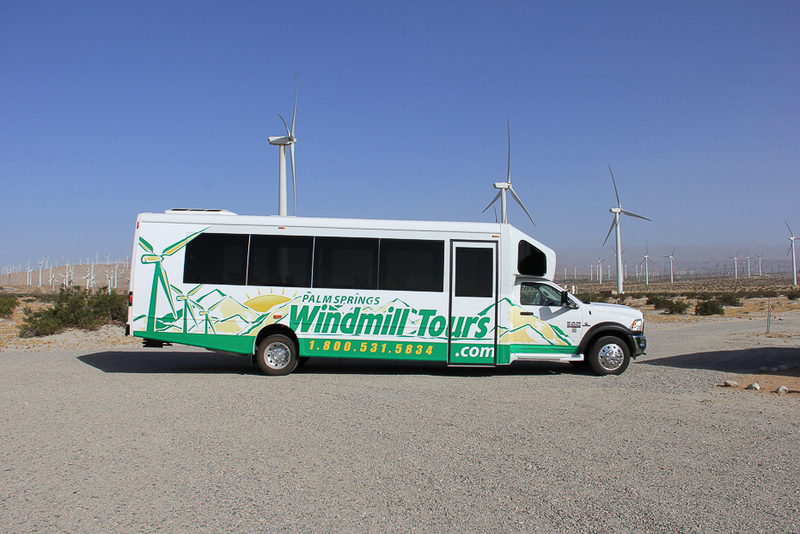 So today's adventure was to take a tour given by Palm Springs Windmill Tours. 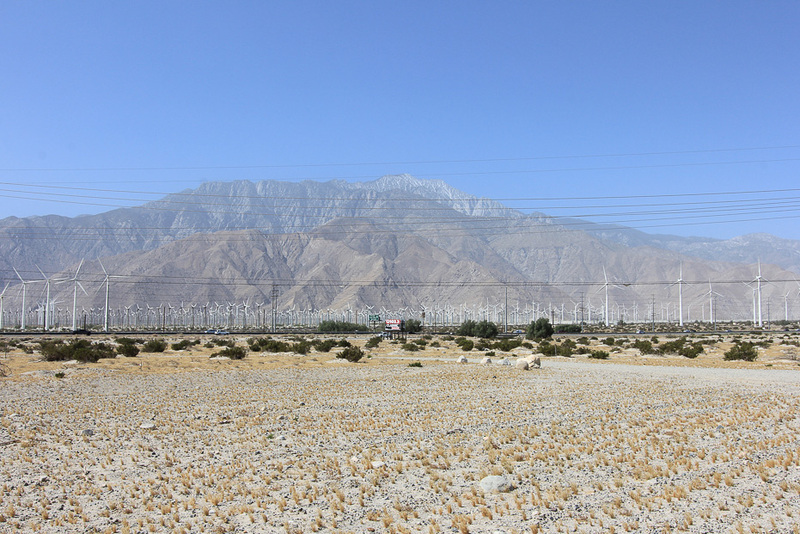 Can you guess how many windmills there are in Palm Springs? Well, that’s a trick question because the answer is zero. 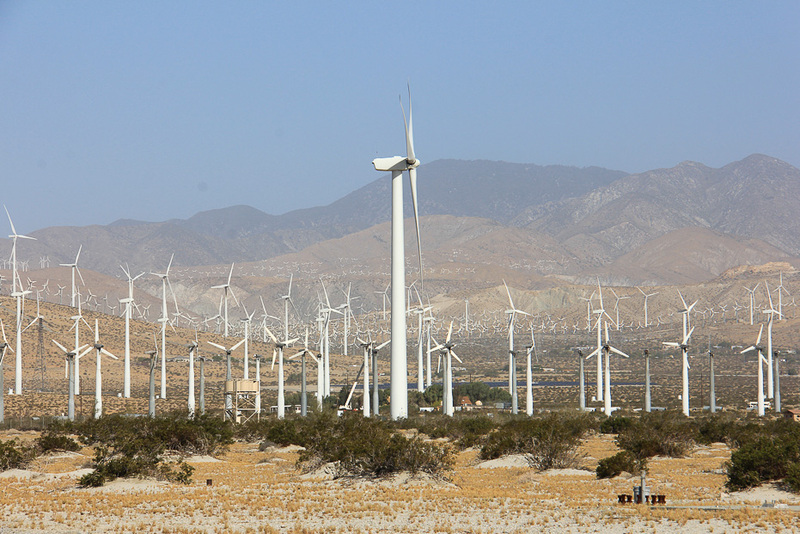 There are no windmills, only wind turbines, and there are about 4,000 of them in a 70 square mile area! 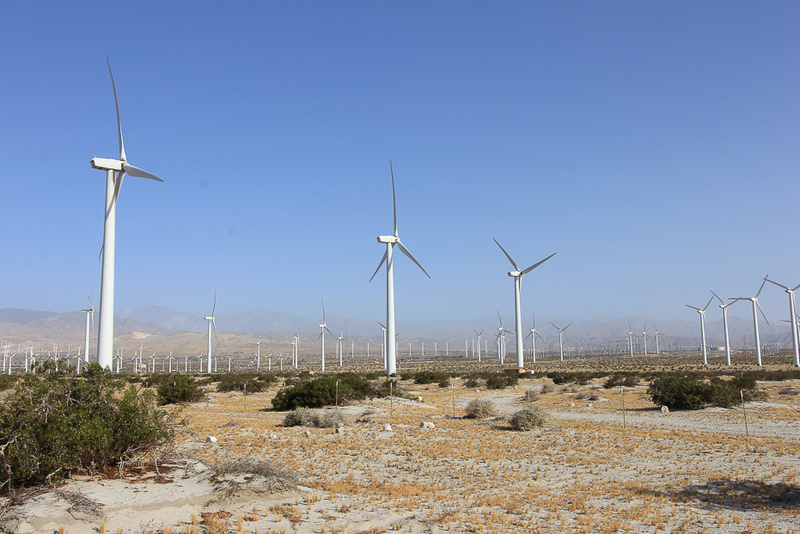 The San Gorgonio Wind Park is the oldest wind farm in the United States, dating back to 1980. This steel skeleton tower shows how the older towers were hinged for easy maintenance. 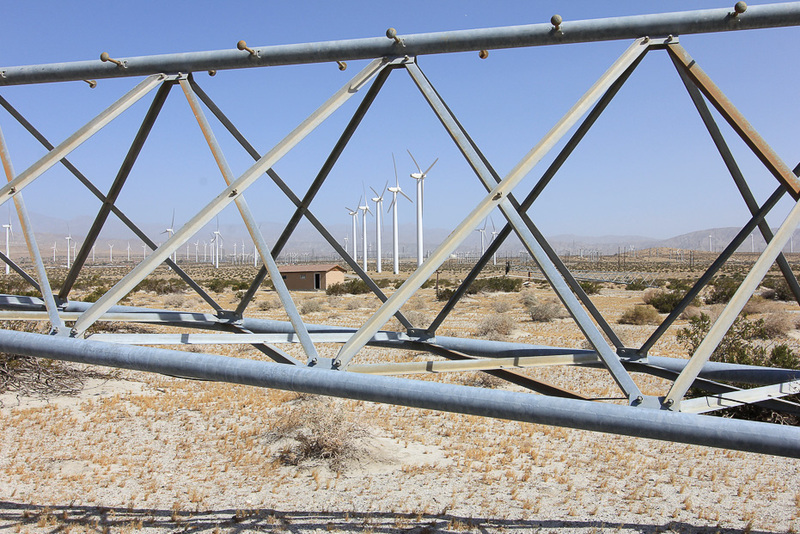 The wires sticking up from the pipe was how the electricity generated by the turbine was carried underground to the small block house in the distance for transmission to a sub-station. Some of the turbines here are 35 years old but, the older ones are being taken down and being replaced by today's larger towers and turbines. 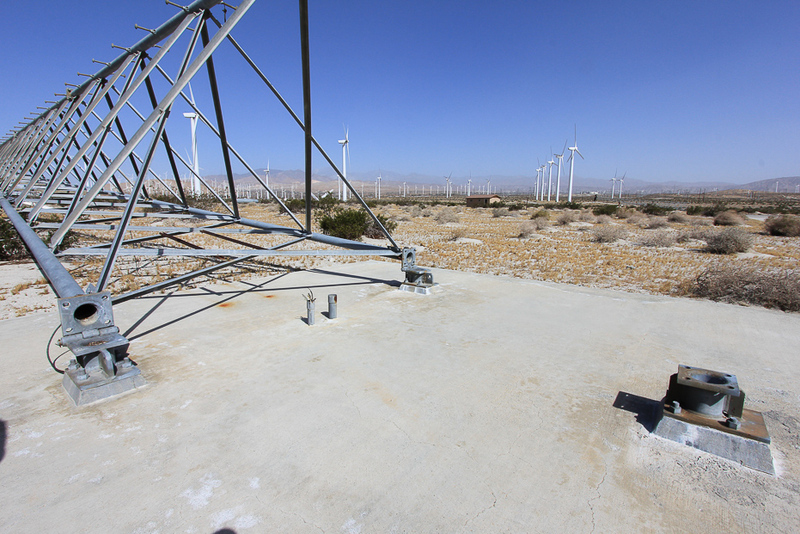 General Electric is in the wind generation business and this is their latest prototype standing at 262 feet tall with blades 125 feet in length. 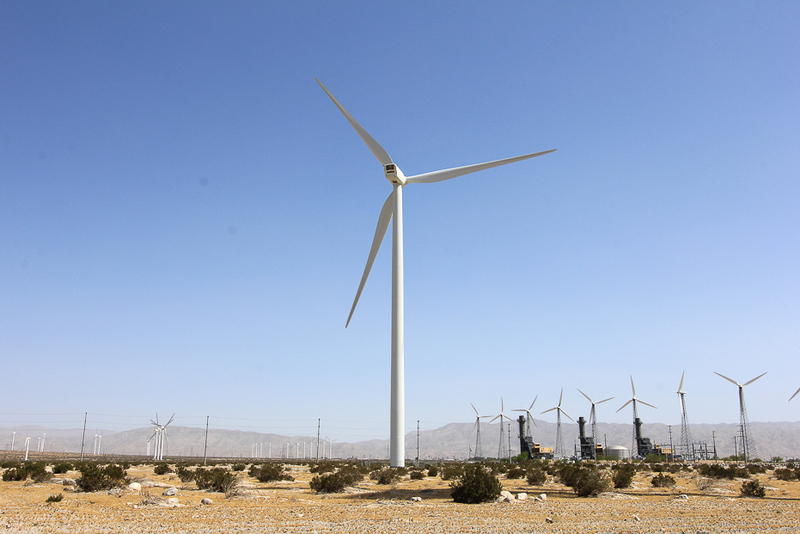 This turbine produces 1.5 Megawatts of electricity per hour. The Danish company, Vestas, commands the European market with this monster. It stands at 300 feet tall and its blades are 140 feet in length and it produces 3.0 Megawatts of electricity per hour, twice the amount of the GE turbine. Amazingly, the Vestas turbine was quieter than the GE turbine. 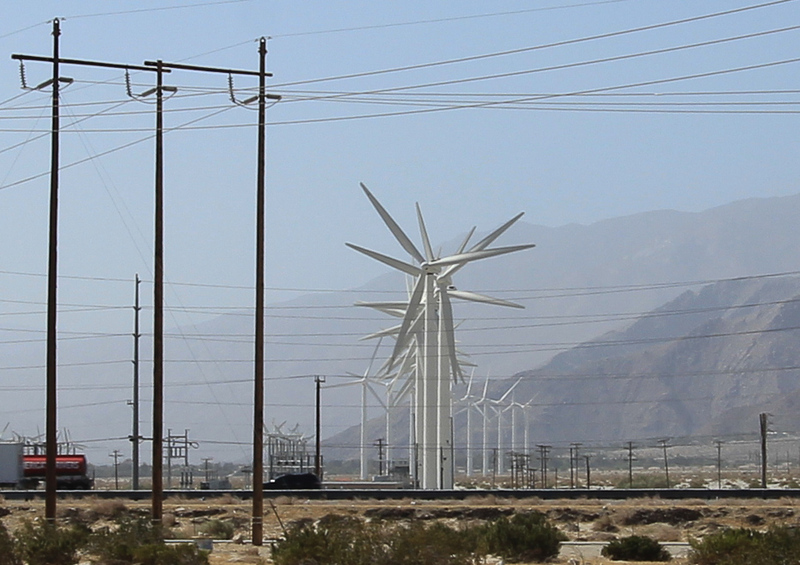 Looking at these turbines spin from the end of the line produces a pinwheel effect. 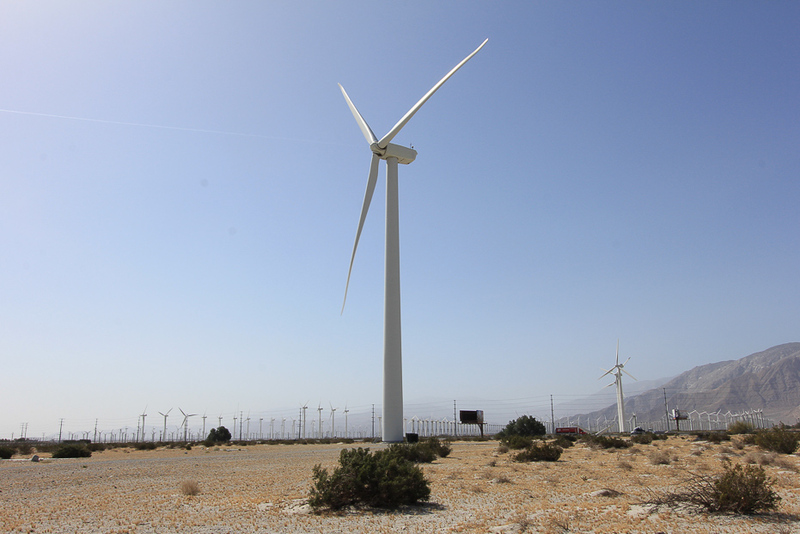 We learned that the current costs to erect these turbines is roughly two million dollars per megawatt produced. 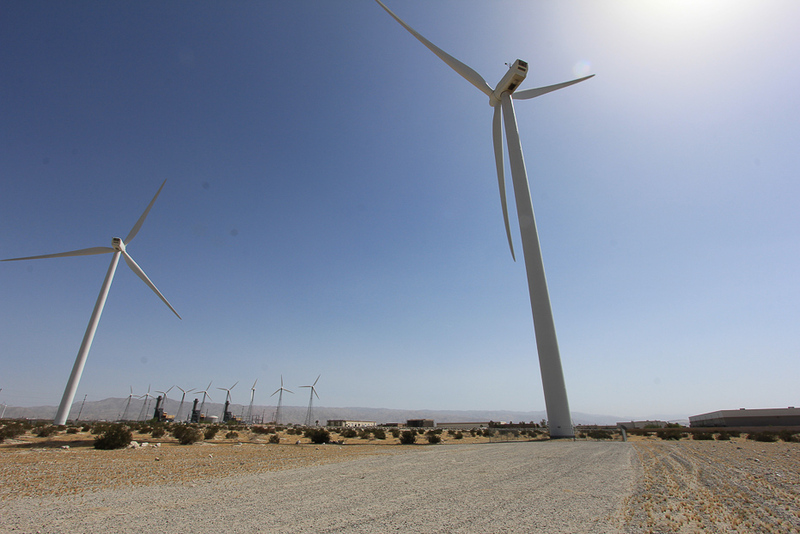 So those Vestas' turbines producing 3.0 Megawatts cost about six million each. This tour was very informative and our guide Randy was very knowledgeable. After being in the hot desert sun, it was time to kick back for a wonderful lunch at the Grand Oak Steakhouse in Cherry Valley. It was "Restaurant Week" here today and they featured an appetizer, entrée and dessert for $10.00. We both started with their roasted tomato soup and I had their penne pasta with a sausage Bolognese sauce for my entrée. Judy had a panini with Proscuitto, mozzarella cheese, tomato and a delicious pesto sauce for her second course. Dessert was a "Strawberry Rhubarb Crisp" with whipped cream for me and Judy had a "Chocolate Ganache" pie, also served with whipped cream. We couldn't have asked for a better day!